Over 250 Professionals confirmed, only a couple of places left! Join the MSPA FaceBook page and stay up to date! The conference arrangements and bookings are coming along well; preliminary conference Program, Sponsors & Speakers information and ONLINE registration possibilities are published above, just click on the blue buttons! Join us for two full days of client case studies, dynamic discussions, excellent Key-note sessions, networking & more networking. 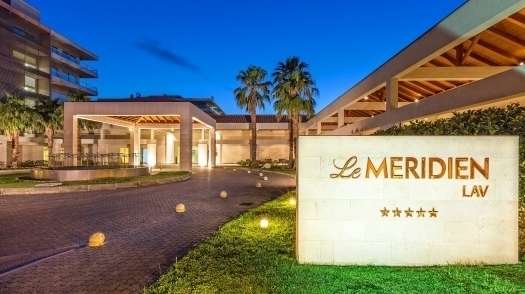 Le Meridien Lav Hotel Split offers an excellent discounted room rate to all MSPA delegates; deadline to secure your room reservation APRIL 10th, 2019 or untill the hotel is fully booked! The MSPA is at the centre of the Mystery Shopping & Customer Experience industry. With over 450 member companies worldwide we measure the quality of customer service given by more than 100.000 companies around the globe. The MSPA is the association of professional companies whose goal is to improve and stimulate the acceptance, performance, reputation and use of mystery shopping and associated services. OurEurope/Africa conference is "the event" for professionals in the industry to attend each year! Sightseeing tour of the area again included in the conference program! Vendor show providing you with interesting insight into the latest industry technologies and services. Plenty of time for networking, socialising and relaxing is built into the conference programme. A full social programme is planned, using the facilities of an excellent hotel. This year MSPA arranged again that for all conference delegates the dinners on Tuesday and Wednesday are included in the conference fees when you register for the full 2 days of conference. An outstanding location for our closing dinner EVENT on Thursday evening; pre-registration is required. Arrange your travel, book your hotel room and start planning your meetings. Register today and start planning your meetings! We hope to see you all again this year in Split, Croatia! Programme Manager, Customer Experience at MultiChoice. Build a great foundation with EOS® so you Simplify your Business before you Multiply! The Effective range of an excuse is exactly zero meters -- EOS® is about getting stuff done, no excuses! Project Manager at Heraklea Mystery Shopping d..o.o. Registration and WELCOME reception/dinner at the Le Meridien Lav Hotel. One Year of GDPR, What Can We Learn? MSPA E-learning, Workshops, Networking...Whats New! Zeljka and Nikica will demonstrate how a successful partnership can deliver real results in Mystery Shopping. What the challenges are in the tourism sector and hoe to overcome the to deliver great results! Flexibility and Agility are essential...Here is what to look out for! Zeljka Joinovic - Heraklea Mystery Shopping d.o.o. With today’s e-commerce, an increasing number of clients are establishing large multi-channel contact centres to meet the increasing demands on consumers at all stages of the buying and service journey. SeeYou are now one of the leading Mystery Shopping Providers in the Nordic countries and have built an enviable reputation measuring contact centre quality. But how did they manage to diversify into the contact centre channel with agility and credibility in a competitive market? It started in 2007 with a competition between 40 call centres. Today SeeYou measure 150 call centres in 18 sectors, identifying and celebrating the best call centre in Norway and benchmarking within each sector. A nationally recognised benchmark gives SeeYou profile, business opportunity and important diversity to their business – find out how this could work for you. "Agile CRM | Measuring Client Value"
We’re all under pressure to maintain and grow client relationships from contract to contract, but have you ever stopped for a moment to objectively consider the absolute value of each of your clients? Which clients are worthy of CRM investment, and which ones are dragging you down? Create CRM Action Plans to ensure the most valuable clients are receiving the right level of attention. The session is an exercise-based CRM workout (don’t worry, mental workout only) using a unique and systematic approach to measure the true value of your clients. Guaranteed to make you want to rush home and repeat this exercise with your sales teams. Well, perhaps enjoy Croatia first, then rush home. "INTERdigitalACTION: Harvesting Experiential Insight in Realtime. Straight from the ‘mystery shoppers’ mouth… empowering our understanding of the customer experience." What creates that ‘certain special something’ which evolves in to an awesome customer experience? Our team of mystery shoppers contribute to capture in-the-moment experiences and behaviours that help us further understand the heartland of customer satisfaction. Via a… Digital Qualitative tool that offers national and multi country coverage | with PC and mobile App capabilities. Our team can post comments and pictures, vlog and react on a live feed, just like on social media - when in the customer service environment. We shed light on the details that matter most, digitally feeding in and interacting with qualitative researchers in real time. "The Future of Learning and How to Benefit as a Mystery Shop Provider"
We are all constantly challenged by the need to educate our colleagues, evaluators, clients and their employees, but have limited resources and even less engagement. How do we get heard? Improve shopper quality and avoid those annoying repetitive mistakes that cost you reputation and money. Recruit and grow the right calibre of employees and evaluators. "Combining Cultural Diversity, Omni-Channel Customer Journey and creating your own specific business model"
By embracing different cultures and business habits, international markets can directly learn from each other and get to next level. Developing your business by offering your clients an Omnichannel customer experience that will strengthen your position. By better understanding your clients’ needs in a hybrid online/offline world you will see extra potential for your service to expand. Are you joining us to explore SPLIT! On request of many we included a breathtaking sightseeing tour this year to visiting the sites of SPLIT. 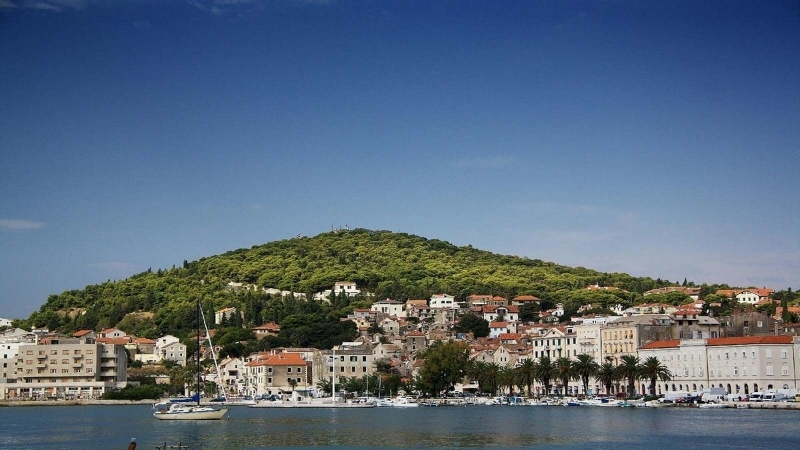 The conference program will end before the sightseeing tour starts, leaving by busses towards Split. We will be offered a drink at the Roman Square, walk around the historical city centre and give you a tast of several local products. English speaking guides will join you for the tour. Around 19.00 hrs (7pm) the busses will arrive back to the hotel! A fantastic experience which we hope most delegates will attend! After a whole day of activities you might want to relax by not having to search the city looking for a restaurant... Considering that, and also because we know you want to make the most of network opportunities, we have organized an informal BBQ buffet right here at the 7Palms restaurant of Le Meridien hotel between 20.00-22.00 hrs This event is included in the 2-days full conference package, pre-registration is required and extra tickets for guests need to be pre-booked during registration. "The Pricing Paradox - How to Keep Your Pricing Agile and Profitable"
"Get a Grip on Your Business"
Why most small businesses fail and how to strengthen the business for maximum grip, more profit and more fun. Guiding the audience through the “EOS Journey” and explaining why agility is a key ingredient in becoming your best. "How Mystery Shopping and Customer Experience makes Peugeot Citroen more Agile"
"Measuring for Design – How a Combination of Measurement Tools can Inform Service Design." Measuring for design – how a combination of measurement tools can inform service design. Dinner with an amazing view - pre registration is required. This you do not want to miss!!! Excellent food, wines and network possibilities in an informal atmosphere. Dinner and a limited number of drinks are included to the dinner fee. We will depart from the Hotel at 19.15 hrs and around 22.30 hrs the dinner will end. ... in case you’re not quite ready to end your evening yet, you are most welcome to join us at one of the clubs that is located nearby. Going back to the hotel is easy as there will be shuttles available until 2am! Early Bird fees until APRIL 10th, 2019! The above fees are per person, in EURO and excluding VAT. Dutch VAT will be applied to all customers located in The Netherlands. The reversed charged principle will be applied for European customers that provide us with a valid VAT number. All customers outside of the European Union are exempt from VAT. The FULL two-day conference fees are including attendance of the conference, Welcome reception & Dinner on Tuesday May 21st, informal dinner on Wednesday May 22nd, coffee/tea breaks & lunches during the 2 main conference days and all conference materials. The ONE-day conference fee is excluding the Welcomes reception/dinner and including the informal dinner on May 22nd. Of course you can register separately for the Welcomes reception. Prices are per person, in Euro's. Participants will be sent an invoice which must be paid before the conference starts. Cancellation is only possible in writing. if cancellation is before April 1st, 2019; After April 1st 2019 a Euro 200 will be charged per cancellation for administrative purpose. If cancelling after May 1st, 2019 the full registration fee will be charged. In case of cancelling your regsitration a colleague could always attend the conference in your place. The registration fee for the full conference includes registration for the conference on May 22 & 23, 2019, all materials and scheduled food functions; reception/dinner 21/5/2019, informal buffet dinner at the Le Meridien Lav hotel on 22/5/2019, coffee & tea, lunches. (Exception; the Welcomes reception/dinner on May the 22nd is NOT included for the ONE day participants). In case your register only for the Social Network events and not for the MSPA conference, an administration fee is charged of Euro 75 per person. Of course if you do register for the conference, you can add additional tickets for your collegueas, spouse or friends who are joining you to the conference without the supplement. 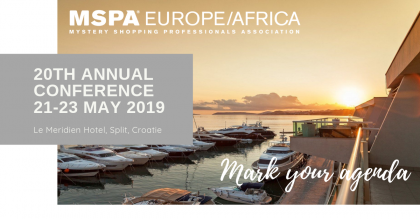 Other Optional events, conference dinner on May 23rd, 2019, sightseeing Tour Split and additional tickets to the social events are not included in the main conference fee and will need to be pre-registered via the MSPA Europe/Africa office and are charged for an additional fee. Hotel reservations need to be booked directly to the Le Meridien Lav hotel and are not included in the conference registration fee. Please complete the online reservation form which is published at the MSPA Europe/Africa website and return this to the Le Meridien Lav hotel. The Le meridien Lav Hotel, have blocked a limited number of hotel rooms until March 31st, 2019 for a special MSPA rate. After this date rooms are only available on request and the special MSPA room rates are not garanteed anymore. The conference location as well as official conference hotel is the Le Meridien Lav, Split (5*) in Split, Croatia. They provided absolutely outstanding room rates and many options in types of rooms; a limited number of rooms are blocked for MSPA guests until April 10th, 2019! After April 10th, 2019 rooms are only available on request and the special MSPA rate is not guaranteed anymore! Please contact the Reservations department of the Le Meridien Lav Hotel to make your reservations; reservations@lemeridiensplit.com. PLEASE INCLUDE "MSPA" AS REFERENCE TO YOUR HOTEL REQUEST! Discounted Hotel Rates until APRIL 10th, 2019! These rates include breakfast buffet, taxes, WIFI internet and are well under half the standard room rates. Why not extend your stay for a few days before or after the conference? Rates will be available only to conference delegates. PLEASE NOTE 1 - In case you cannot make your reservation via the above hotel reservation tool (or receive a note that their is no availability) - or you have a question, feel free to email the Le Meridien Lav Hotel at reservations@lemeridiensplit.com and they will assist you. PLEASE INCLUDE "MSPA" AS REFERENCE TO YOUR HOTEL REQUEST! Le Méridien Split provides you with a different perspective on the destination, a new way of seeing Dalmatia through a selection of unique experiences offered throughout the resort and along this exciting coastline. Discover the unknown, gain cultural insight and see things differently! 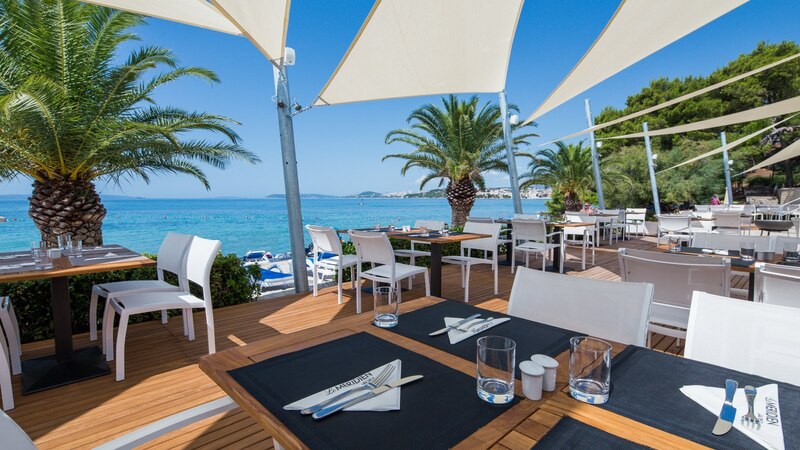 Situated 8 km south of Split in Podstrana on the Dalmatian Coast, Le Méridien Lav, Split, enjoys a beautiful setting boasting an 800 m stretch of beach with fantastic sea views across to the city and its surrounding islands. Le Méridien Lav has a world-class spa to its name, as well as numerous restaurants and bars.. In the ONLINE hotel reservation tool an option is included were you can select the room type and as well check out the rates of the other room types as mentioned above. The nearest airport is Split Airport (SPU). Zagreb Airport has daily national direct flights to Split, definetely a great alternative in case you do not have a direct flight to Split. Alternatively Zagreb is a 4 hour drive away from Split. As well a private transfer can be pre-ordered via https://www.holidaytaxis.com/en/transfers/portugal/resorts/. We checked it out and it works really easy and good! A one-way transfer, a private taxi, from the airport to the hotel is about Euro 75,- and for maximum 2 persons. Download all details of the sponsor packages and an order form as pdf file here! The MSPA is at the centre of the Mystery Shopping & Customer Experience industry. With over 450 member companies worldwide we measure the quality of customer service given by more than 100.000 companies around the globe. We thank all sponsors for their support. Stefaan is an expert in the field of Mystery Shopping and Customer Service Relations. During his early career, he successfully created and managed three different contact centers in Belgium and the Netherlands. During the last 8 years he has established himself as an expert in the creation and ongoing management of Mystery Shopping and Market Research projects. He has also qualified as a trainer/coach during this time. It was whilst working as a Contact Center Manager that Stefaan discovered the value of using Mystery Shopping techniques. He was so motivated by this experience that he moved across to work for a Belgian Mystery Shopping company. After three successful years as part of the Mystery Shopping world Stefaan was promoted to the role of Associate Director, and such was his passion for his work that he decided to set up his own company in Lille in early 2010. Stefaan's strong background and extensive experience in his field of operation, together with a continuous and infectious enthusiasm, has helped ensure that together with his skillful team, he will continue to drive local and European Mystery Shopping projects to a successful conclusion for his clients. As a member of the MSPA European & African Board, Stefaan continues to work with expertise and passion for Education & Accreditation as Vice President . Jill is Associate Director, at ReactCX. She has worked as a mystery shopping service provider at senior level since 2000, having previously earned a strong reputation for expertise in the Customer Experience arena whilst working in varied and challenging roles for blue chip retailers. Over the past 20 years, Jill’s core objective has been to raise the profile of customer service in business. It is a testament to her passion and commitment for the subject that the companies Jill has worked for, and in partnership with, now place customer service at the very top of their boardroom agenda. Her more recent work focused largely on the engagement and education of frontline workers. By raising the level of understanding that the frontline has – and providing clear leadership and direction relating to individual and team goals – a more engaged work force has evolved, as well as a clear movement from a ‘task focused’ to ‘customer centric’ work ethic. Of specific interest at board level, the work also identified clear correlations between higher engagement levels and stronger sales performance across the client organisations that Jill worked with during this study. Jill has written a series of case studies on the value of mystery shopping, including some high profile return on investment work, and has had several articles published on this subject. She has also spoken at conferences throughout the world on the topic of Customer Experience. Jill has worked as a board member of MSPA Europe/Africa since 2012, was appointed President in 2017 and Chair of the MSPA Global Board for 2019. Away from work, Jill has a passion for sports and travel, and her Fantasy Football prowess is legendary! Nigel is a Senior Executive with a wealth of experience with leading Mystery Shop and Customer Experience organisations on a global stage. Past President of MSPA Europe 2011/2013 and Chair of the Global Advisory Committee in 2015. In 2017 appointed by the MSPA Europe/Africa board as external Strategy Consultant. Having been involved in market research and the mystery shopping industry almost all his working life, he has extensive experience of advising clients how Insight and measurement tools can work together to maximise their ROI. His particularly formative experiences included setting up and managing the expansion of operations in UK, Germany, France, Spain, USA and APAC. Nigel has focused his expertise on the areas of balanced scorecard implementation, standards measurement, training, incentive and reward tools. Regardless of the nature of project work being undertaken, Nigel will always focus on delivering best value to his clients, by ensuring that there is a continuous emphasis on speed, accuracy and technology to make information more accessible, actionable and reliable. Luis Duarte is a graduate in Hotel Management and founded MORE by Pentaudis in 1998, having previously worked in Management positions in Hotels & Tourism and in Retail, in Portugal, Germany and England. His work experience was gained working for Accor, Sheraton and Lidl. Currently Luis heads a team of 17 dedicated professionals that are focused on helping their clients improving their customer experiences. Pentaudis is split into two Business Units – Mystery Shopping and Market Research & Data Analytics – and offers within these units various management tools, that are used in line with the client’s specific goals. Luis is very involved with the internal and external clients and one of the areas he is responsible for delivering results is Innovation. In his free time Luis likes to spend time with family & friends and to practice sports, specially Bootcamp, and reading, reading, reading! Keira Mackenzie-Smith Keira Mackenzie-Smith is a Hong Kong-based entrepreneur leading the dynamic team at Learning Curve. Learning Curve partners with service industry clients to create tailored programs in mystery shopping, consumer research and management training. Keira’s enthusiasm and inspiring energy for the service industry drives her to make exceptional service a standard, not just a desire. Learning Curve had its beginnings in Australia in 2005 before moving HQ to Hong Kong in 2010. Learning Curve is a proud member of MSPA Europe Africa and member and former Board Director of MSPA Asia Pacific. Clint Payne, Programme Manager, Customer Experience at MultiChoice. 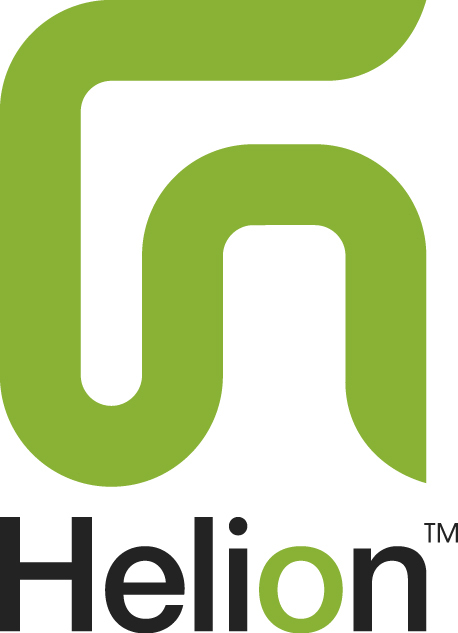 MultiChoice is a video entertainment and internet company with a strong presence in South Africa and across the African continent. MultiChoice provides multi-channel pay-TV and subscriber management services in 48 countries across sub-Sahara Africa and the adjacent Indian Ocean islands. Alexander’s passion is helping people get what they want from their businesses. To fulfill that passion, Alexander uses the Entrepreneurial Operating System (EOS)® That was created by Gino Wickman. 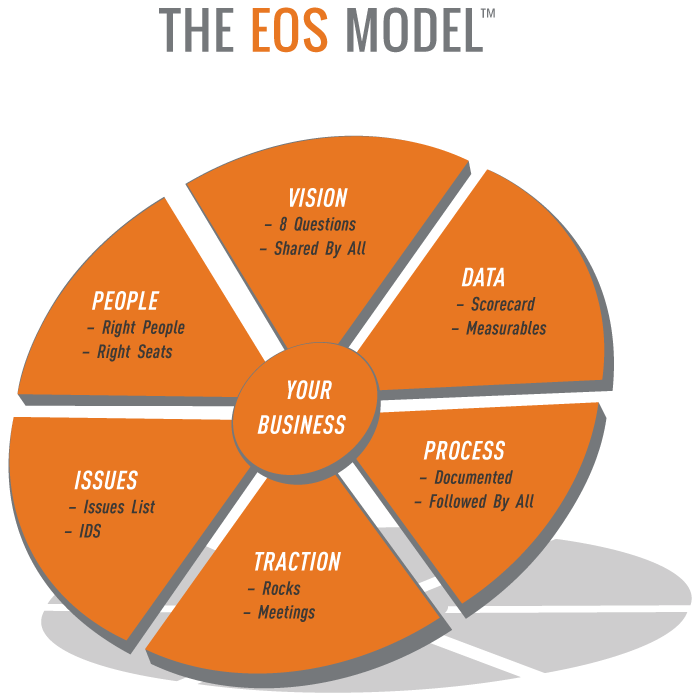 EOS is a holistic system that, when implemented in an organization helps leaders run a better business, get better control, have a better life balance and gain more traction; with the entire organization advancing together as a healthy functional and cohesive team. Chris is passionate about helping business owners and entrepreneurial teams achieve what they want from their businesses. He is a professional EOS Implementer operating in Europe and Africa. (EOS: Entrepreneurial Operating System) After resigning from the South African Air Force, having served 15 years as a helicopter pilot. Chris joined the family business. He worked his way through most of the positions in the operations side of the business. Taking over the helm in 2007 when his father passed away. He has an intimate understanding of the frustrations that are associated with business ownership. He became a professional EOS implementer in 2014 after having attended the required training course in the USA. Reidar Skorpen is the GM at SeeYou in Norway and has worked in the company since 2007. Before that, he spent 15 years at Nike Norway/Nordics as a Marketing Mgr. I have always been very interested in customer experience and the customer journey, and given the opportunity to work at SeeYou has given me a deep insight on this topic over the last 12 years. SeeYou is doing a lot of different customer surveys in the Norwegian market and we have established the company as a well known quality supplier of customer insight surveys. One direction of this has been call centers, where we through the yearly Customer Service Price has positioned the company as a important contributor to establish standards and increase the level of service. As VP Europe at BARE International, and Founder of microlearning spinoff MobieTrain, Guy helps leading international brands to drive exceptional customer experience. An experienced retail strategist with an MBA from Chicago Booth, Guy drives change in the retail and L&D sectors through technology, knowledge and deeper customer insights. I am currently working on the position of director of MSA Adria in Croatia. I am hard-working, independent and passionate about solving problems and finding creative solutions; worked in field of project coordination, project management and customer service. Over the past few years I had the opportunity to work on many challenging projects. I was involved in the entire project process from setting up the client's goals and ideas to finding smart methodological and analytical solutions. Sometimes you have to be very creative to achieve the goal required by the customer. This type of work is quite challenging because the success of the project depends on many factors, but a sense of satisfaction at the end of well done project is remarkable. That feeling always gives me the energy and motivation for the next challenges. I am a results-focused digital marketing enthusiast who was involved in many different online projects with an understanding of the role of digital channels in building brand awareness and garnering positive media publicity. My passion is finding new and creative ways to raise awareness for market research importance. Currently, I am working for MSA Adria as a marketing specialist, assisting in project management and data analysis through interactive reports. With using interactive reports I am trying to point the benefits of the proper interpretation of results and how to completely use it. I am proficient in copywriting and design making in innovative ways. Skilled at creating campaigns centered around clients education on product and service use, through confidence in using research and analysis to understand how trends, consumer requirements, competitors, and a seasonal market can affect on business. My goal is to develop a strategy for using all channels for customer satisfaction research which is the foundation for any market research method and business strategy in all industries. For over 24 years I work for International corporations whose focus is to raise the qualitiy of services and products. The last 20 years in automotive industry, 17 for PSA group and 3 in Emil Frey group. Through the years the business faced many crises, mergings and fluctuations due to Market conditions but nevertheless the quality had to remain same, if not better. Customers are more and more demanding and aware of their rights. My goal, with collaboration of B2B partners, is to provide the quality of services, to maintain the ranking in the top 10 Brands. With the help of standards and Mystery Shopping we can define the week points and strengthen the areas to improve. The basis is in communication with customers and dealers with the help of the tools like Mystery shopping which gives us the exact situation. I also handle customers claims, the most stressfull and demanding position. Nowadays with all social media (FB,Instagram,Twitter, etc…) fast reaction is required to avoid negative publicity. The Brands that I handle are Peugeot, Citroen and DS. With 30 years of experience in brand handling and development, Stephanie is the team’s expert in driving brand success. Owning extensive experience with corporate equity, product concept and communication tests, market segmentation and the youth market, canvassing brand strategy and growth for national and global clients. Example sectors of expertise (off and online) are FMCG, retail, food and beverages chains, telecoms, health and banking. After having enjoyed highschool education with a humanistic focus Alexander Tichy (DOB 21071972) continued his education at Business University Vienna with a major in Personnel Management. During 1991 the first Mystery Shopping Study for Moto Kawasaki has been conducted as practical part during his Bachelor studies. Same time Alexander had first contact with AIESEC the world’s largest student organization which shall have a significant impact on the Alexander’s further development. Both in Private and in Business. 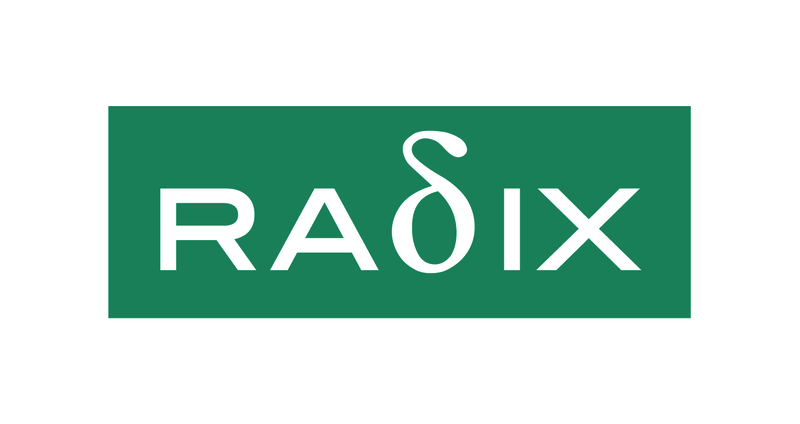 Midst of the 90ties the first company has been founded and during 2002 with a merger RADIX has been established. Being a communication consulting company RADIX embraces three fields of business: Market Research, Digital Advertising and PR. Being a long term member of MSPA Europe/Africa RADIX has been Elite Member since the programs start, striving for excellence. Since 1994 Alexander has been active member of AIESEC on local, national and international level. This was kick start and business enabler for RADIX going international. Since 2016 Alexander is Global President of AIESEC Alumni International, embracing a member base of close to one million Alumni. Hobbies that do keep Alexander healthy: Music (Clarinet and Saxophone), Sports (Fitness Coach) and Single Malt. Zeljka Joinovic is Project Manager at Heraklea Mystery Shopping d..o.o. Before joining Heraklea, Zeljka worked in retail and contact centre sectors where she was in direct contact with customers and where she gained her first experiences of what service quality really meant. Zeljka joined the Heraklea team in 2007, initially as Assistant Project Manager, and then Project Manager. Her responsibilities are project management, analysis of results and reporting. During her 11 years of work she has successfully led over 200 mystery shopping projects, mostly specialising in the financial services industry and tourism. During her work in Heraklea, she has dedicated much of her time to a series of training seminars related to sales skills, quality of service as well as personal development.